The CCTV, China Radio International and China National Radio will be consolidated as one answering to the Central Propaganda Department. Beijing, China: China on Wednesday announced a series of changes aimed at strengthening its global influence, including the creation of a centralised news service to better communicate the ruling Communist Party's message at home and abroad. The changes are part of a larger overhaul of government functions that will also see an increased role for the United Front Work Department, a shadowy organisation that has been accused of trying to manipulate politics abroad. Under the new arrangement, the party's Central Propaganda Department will take direct responsibility for print, news and movies away from the central government, according to an announcement published by the official Xinhua news agency. The move to put these branches of the media directly under the party's control comes as China has been tightening censorship and efforts to dictate the outlook and "positivity" of content. Control of radio and television will be placed under a separate government-run organisation tasked with "carrying out the Party's propaganda guidelines and policies". The change is aimed at ensuring that broadcast media "acts as the Party's mouthpiece", the announcement said. As part of the change Chinese state media outlets CCTV, China Radio International and China National Radio will be consolidated into one super-broadcaster answering to the Central Propaganda Department. Programmes targeted at foreign audiences will be rebranded as "the Voice of China", the announcement said. 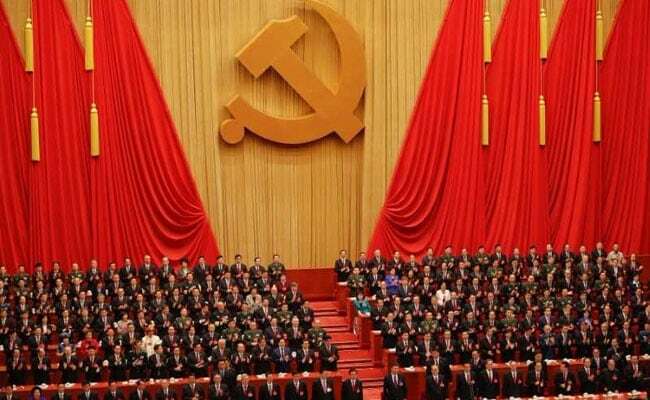 The reorganisation will also increase the prominence of the United Front Work Department, an agency which works to promote ties between the Communist Party and non-Communist elite -- including other political parties, former government officials, religious groups and overseas Chinese. Under the new arrangement it will have complete responsibility for work related to China's ethnic minority groups, religious management and contact with overseas Chinese, which Beijing sees as an important constituency for its propaganda efforts. President Xi Jinping has described the United Front Work Department as a "magic weapon" in the country's soft power arsenal. But it has come under increased criticism for what some say are covert efforts to influence politics in other countries. Chinese donors tied to United Front-affiliated groups gave money to Australian politicians, providing impetus for Canberra to introduce new laws to limit foreign interference in its government.